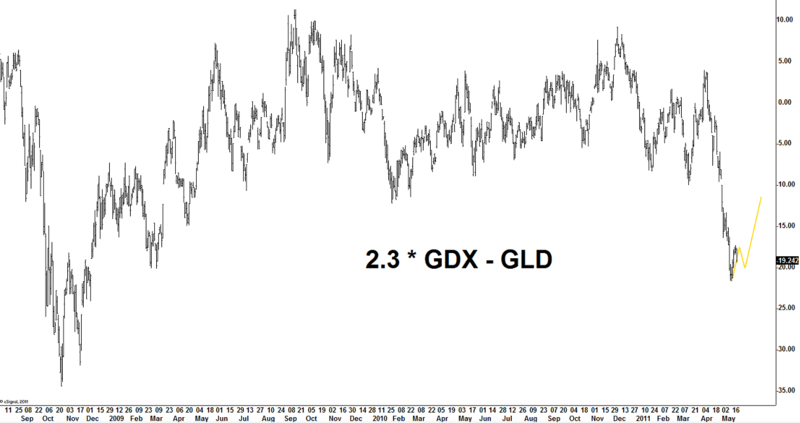 I posted a guess as to what the $GDX – $GLD spread would do in the coming days and weeks and it looks like it is following the plan so some degree. This was a total wild guess, but I’ll take it if it pans out. It’s important to mention that I waited for this relationship to stretch to 3-standard deviations (based on 2 years data) before I got involved. 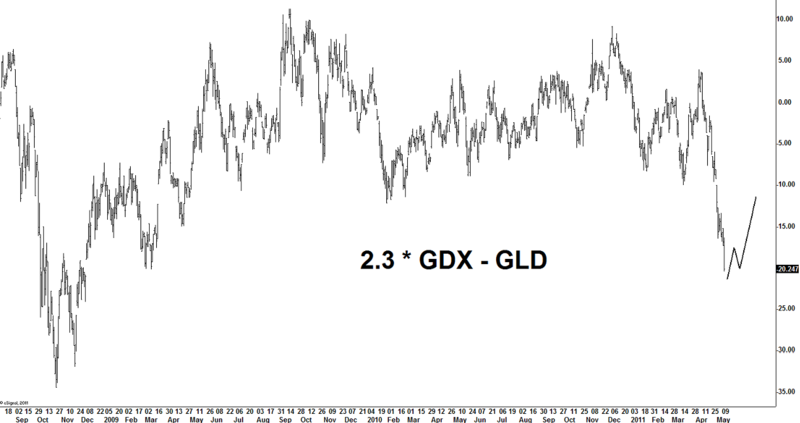 While this move isn’t unprecedented, it is abnormal and should revert to the mean. How long it takes to revert, and where the mean eventually ends up are still unanswered questions. How it trades on Monday will be key.